Having recently run out of my trusty MaxFactor Translucent Professional Loose Powder, I’ve been looking around at some of the others out there. 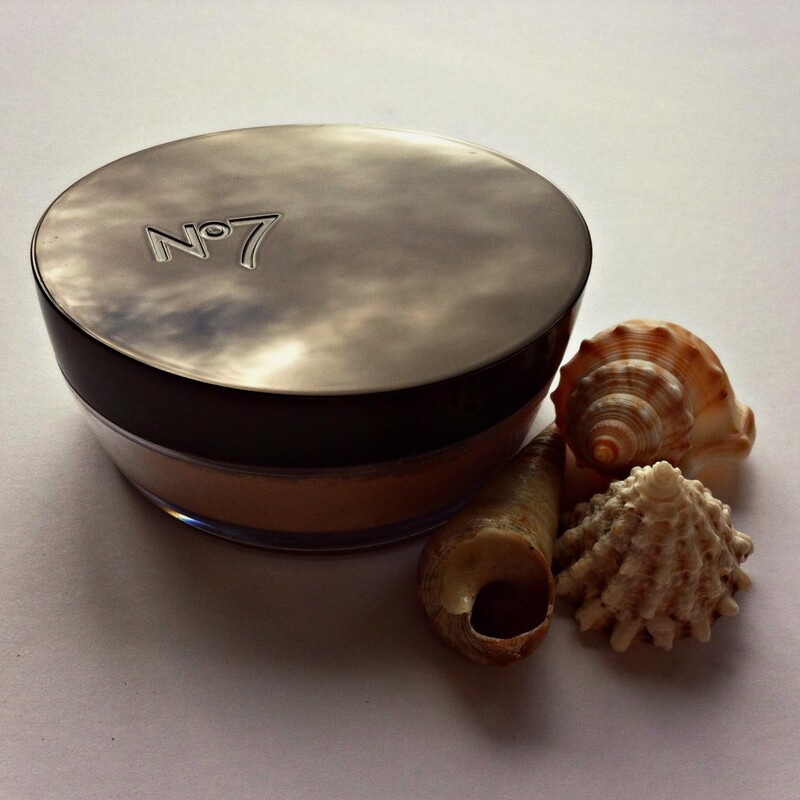 No7’s Perfect Light Loose Powder is ‘light diffusing’, with Vitamin E and Pro-vitamin B5 to look after skin, and Hyaluronic acid to keep it hydrated. It has an aluminium starch and talc-based formula, which is good for normal/oily skin because it’s easily absorbed without looking overly chalky or thick. It’s also scent-free. The powder comes in 4 shades: translucent, fair, medium and dark (I’m currently using the fair shade) and you get about 20g in a pot. Although a couple of pounds more expensive than the MaxFactor, you do get 5 extra grams. It gives a really nice, matte finish that doesn’t look cakey or dry. Being so finely milled, it doesn’t feel heavy on the skin either. In terms of coverage, it really helped to even out my skin tone but wasn’t so great on the blemishes. In a way I felt it made my blemishes more obvious because it made the rest of my face look pretty flawless; but that’s nothing a little extra concealer can’t solve! I was particularly impressed with the powder’s lasting power – pretty much all day; even through practically running to college and a rainy, 20 minute walk home again. The past week or so that I’ve been testing it, I haven’t even felt the need to bring the pot around with me for touch-ups. Two problem spots are my chin and along my jaw line, where I could’ve done with a quick reapply, but I think this is more to do with leaning on my hands at college than anything to do with the actual product! I also haven’t noticed any colour changes or oxidisation on my face. Although the packaging is designed to be loose powder without the mess, I’m finding it a little difficult to use. 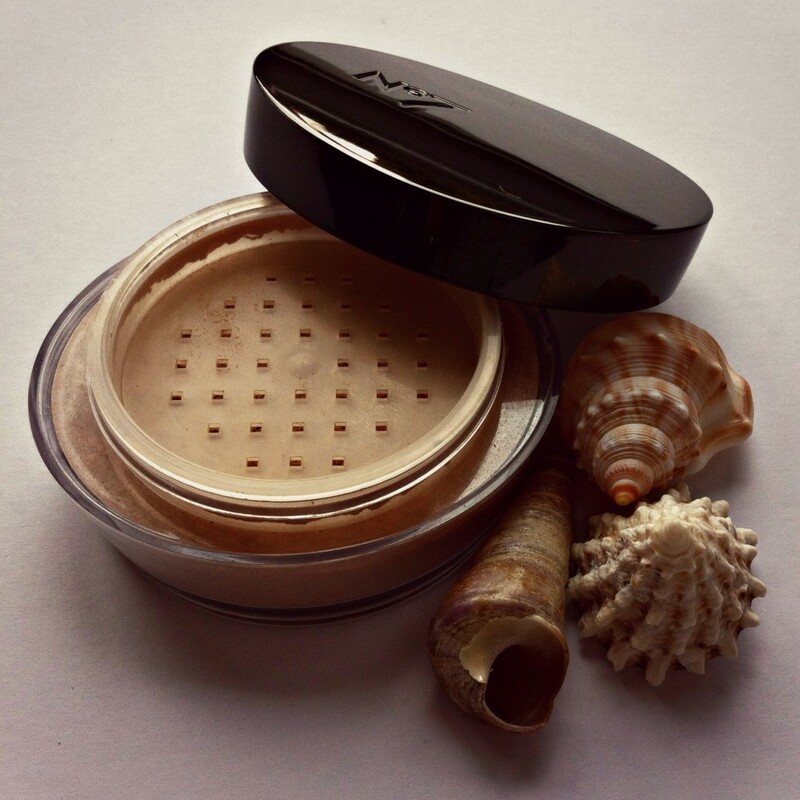 I much prefer a sieve like the MaxFactor one to No7’s pinpoint holes, just because I feel a sieve keeps the powder as dusty and light as it can be. The pinpoint holes are difficult to get the powder out of, and I imagine its only going to get more difficult the more I use! I would also prefer it if the plastic was removable to you could physically get to the powder. At the end of the day, I’m willing to put up with a little mess for an easier, quicker to use powder! 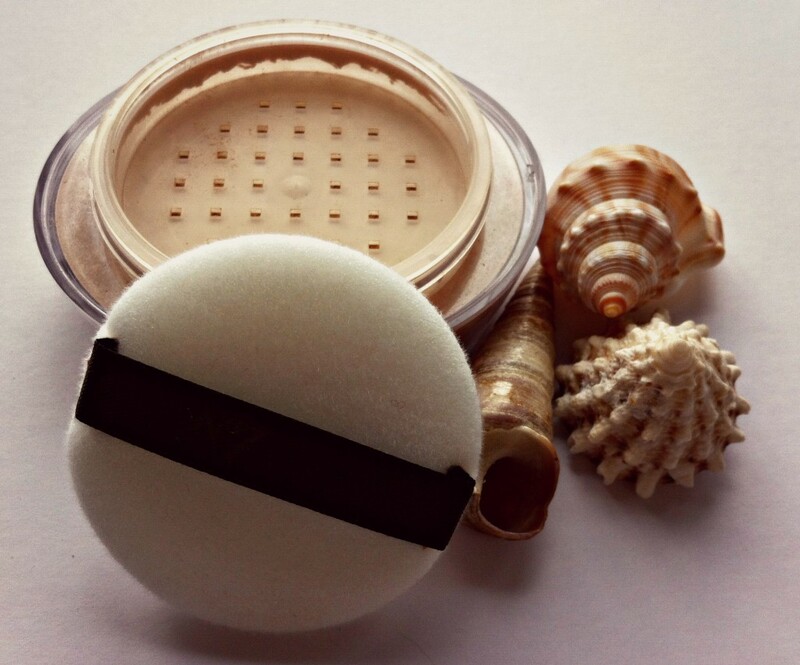 It also comes with a little sponge but I much prefer to apply my powder with my Real Techniques Powder Brush, because I feel it gives a more light, even coverage. 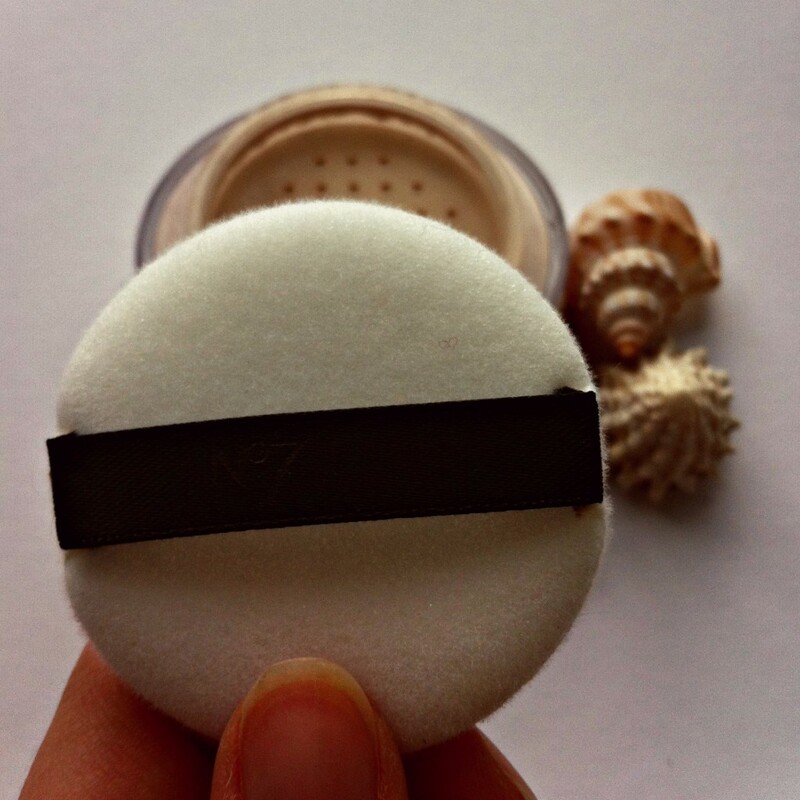 The little sponge fits nicely into the plastic indentation, however, so it does stop the powder leaking everywhere – and would definitely be useful in emergencies of the brush-less kind! Overall, I’m really impressed with this powder, even if the packaging is a little irritating to use. If I could get to the powder, I could transfer it into my old MaxFactor pot which would be perfect for me but I’m not sure I can – I am being really picky though! Let me know what you think or if there’s any other fab loose powders that you know of. Don’t forget to share/like/comment/follow and all that too!